There are tastings and tastings but the response to the opportunity to taste some exceptional Japanese Whisky from Dekantā as part of their 3rd-anniversary celebration was as large as the expectation that all hopeful taster had for these classic whiskies. Dekantā is the world’s foremost online retailer of rare whisky from Japan. I was privileged to be a part of the tasting of two great but very different drams. 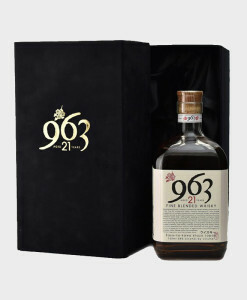 The first Whisky was the Yamazakura 963 21-year-Old 58% ABV. Yamazakura comes from the Sasanokawa Shuzo Company Iswa Distillery based in Koriyama City, Fukushima, inland from the main tsunami-affected areas, and about 40 miles from the Fukushima No.1 nuclear plant. 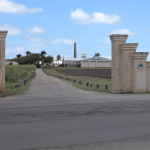 The distillery was founded in 1765 and started whisky production in 1946. They know a few things about Distilling and Blending. 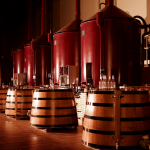 The whisky is a complex blend of single malts and grain whisky aged for 21 years in wooden casks. The nose was exquisite. An initial floral hit of roses and orange blossom, it deepened to give sweet oak barrel notes, hazelnuts to the rear. A great fragrant, delicate nose with complexity which evolved further with a drop of water. The nose promised a lot and invited a sip but I resisted savouring the swirling developing aroma but the suspense was too much. I moved on! The palate of this whisky delivered everything and more the nose had promised. It had the same notes but with pear coming through, there were deeper tones as well giving darker fruits – figs and prunes and ‘soor plooms’ (tr. Scots; sour plums, a traditional boiled sweet from the Borders). There was hazelnut and a subtle sherbet tingle, citrus and sweet, so smooth as it evolved further giving caramel, vanilla oak spice notes, so balanced, finally as it evolved a faint honey taste. This was maintained into the finish which was long and dry with a slight but lovely sour stem ginger note, oak, and sherbet lemons, going on and on. The nose leading seamlessly into the palate and onward to its finish every stage integrated perfectly to deliver the complete sensory experience. This shone in every way, clearly a premium whisky. I loved it. This bottle is sold by Dekantā for $439.99 (£333). Now was the time for the evening’s debutante. 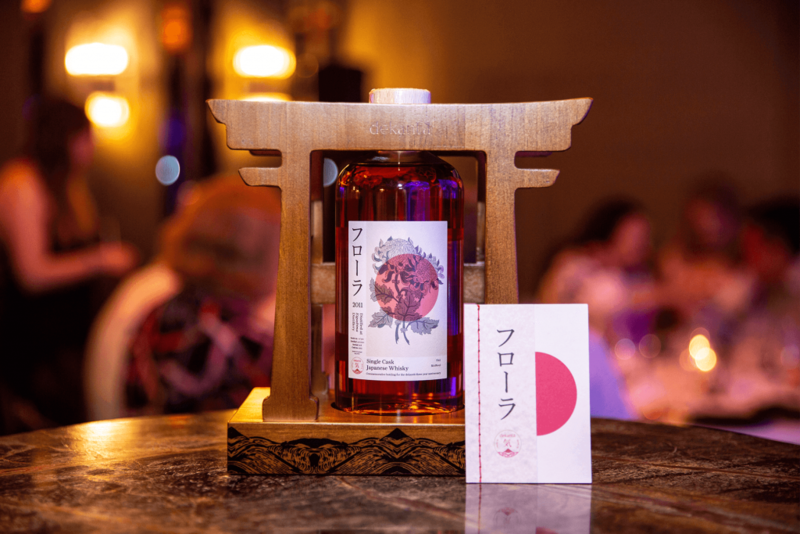 This single cask whisky is the first in the company’s Ki Series of independently bottled Japanese whiskies, to coincide with the company’s third anniversary. Only 300 bottles of Eigashima 2011 Kikou – Ki Series have been created, bottled at cask strength of 58.4% abv. 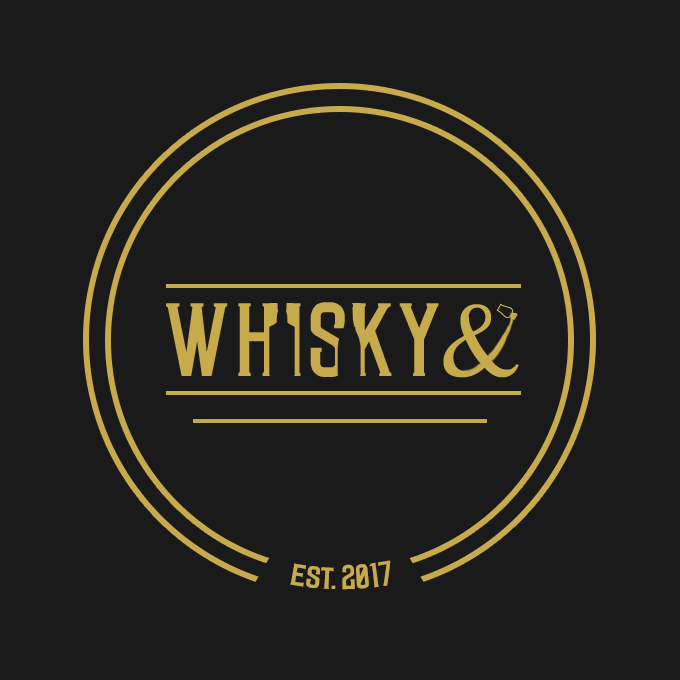 The whisky is available to purchase globally online at dekanta.com. The whisky is matured in Port Ellen casks. Eigashima Shuzo is the closest whisky distillery to the coast in Japan, 100 yards from the Harima-nada sea and this is reflected in the savoury, saline pure character of the distillery’s produce. 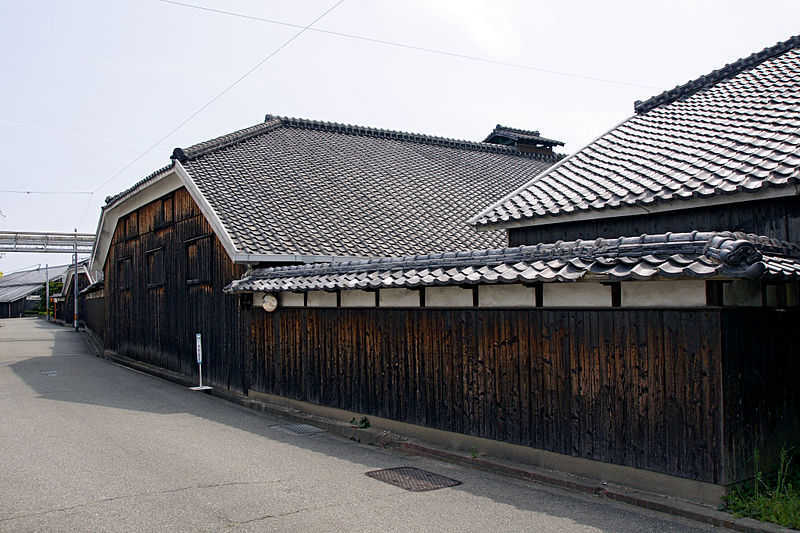 A family-owned distillery producing traditional Japanese alcoholic beverages for over three centuries, Eigashima Shuzo was the first Japanese whisky to be granted a license to produce whisky in 1919. Eigashima is still Japan’s smallest whisky producer, with a team of just five people and very limited production. The Eigashima 2011 Kikou expression is named after the Japanese word for ‘climate’. The label features a chrysanthemum flower, which is local to the Akashi City park where the Eigashima distillery is located. Closed in 1983, Port Ellen is now an eminent name in Scotch whisky, the Karuizawa of the Scotch whisky world. Our first private cask bottling marries the characteristics of two internationally renowned distillers. A glorious dark copper colour promises depth and body, my preferred whisky characteristics. The nose is initially quite pungent. To me; engine oil with strong undertones of sourdough bread, then delicate coastal salty brine flirting with floral notes with cherries, deepening to slightly musty leather with the merest hint of peat and smoke, tobacco and chocolate. A fascinating nose full of eastern promise and potential. With a drop of water, it opens up to reveal more complexity and layers of aroma, citrus, nuts and red berries. This is a serious whisky. I could inhale this for hours and continue to discern more aromas. On the palate, it delivers salty, root ginger spice, & chilli, brazil nut toffee, marshmallow, lemon, chocolate and honey, notes of chocolate and tobacco, earthy and leather a real pick and mix with so many confectionary notes. A lovely drink which delivers sweet, savoury and spice to compliment summer fruit and citrus flavours. Finally the finish, Long very long, spices are mellow, fading tannins and then pears in the finish. A very enjoyable malt offering great pleasure in every sip. Undoubtedly one for a long contemplative evening in front of the fire. It retails at £650 from Dekantā but a sip could last half an hour and a glass a whole evening. A complete whisky experience. In conclusion. These were two excellent whiskies, both complex and sophisticated with eminent quality from nose to finish. It is almost churlish to choose one over the other as they both offered a completely different experience. My preferences would normally have me chose the Eigashima 2011. Full bodied, single cask massive depth and an evolving developing whisky experience. On the evening my choice was the Yamazakura 963 21-year-Old. It was such a fresh engaging balanced dram. On another night given the chance I might put them the other way round. Note to self; experience more Japanese Whisky.